While magazines of the day might warn of the dangers of nervous conditions, influenza, headaches, and other tea party-related ailments, these warnings appear to have only applied to the most extreme situations (i.e. drinking gallons of tea while garbed in a low-cut gown). 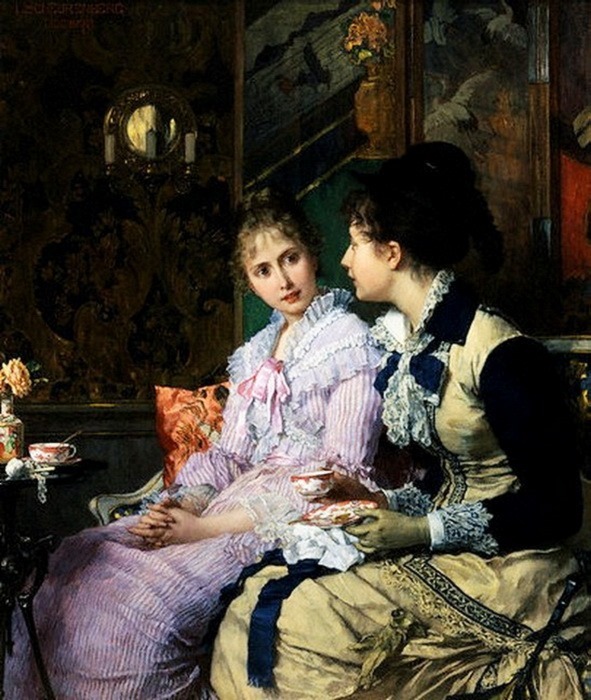 For the average tea-drinking female, an informal afternoon tea party provided the perfect opportunity for a chat with one’s friends—and for a small bite to eat to tide one over until the dinner hour. A few of our friends are coming to afternoon tea on Friday next, and we hope to have a little good music. Perhaps you may be able to look in for half an hour: if so, I should be very pleased to see you. Informal invitations—whether delivered by letter or announced via visiting card—did not require a response. 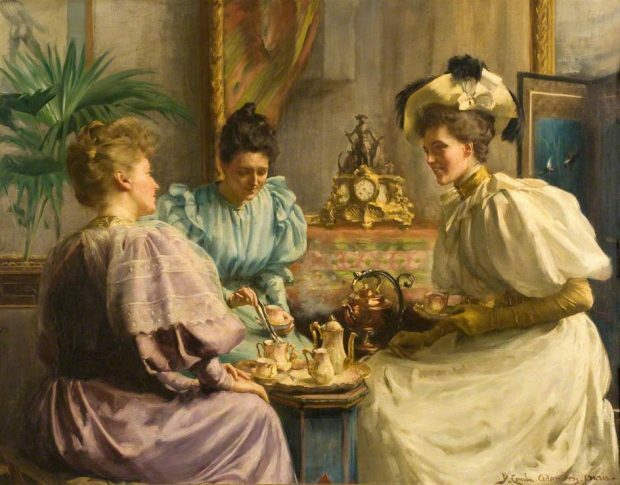 Ladies Taking Tea by Joseph Scheurenberg (1846-1919), n.d.
Whatever a lady chose to serve for her afternoon tea—whether sandwiches, cake, fruit, or biscuits—she was advised to make certain that all of her ingredients were of the very best quality. The lady of the house was usually assisted by one or two servants. They were responsible for clearing away soiled cups and plates and for keeping the table clean and fresh. When it came to pouring the tea and chocolate, however, the services of a lady were required. If the hostess was unable to pour, the duty must fall to another lady of the company. 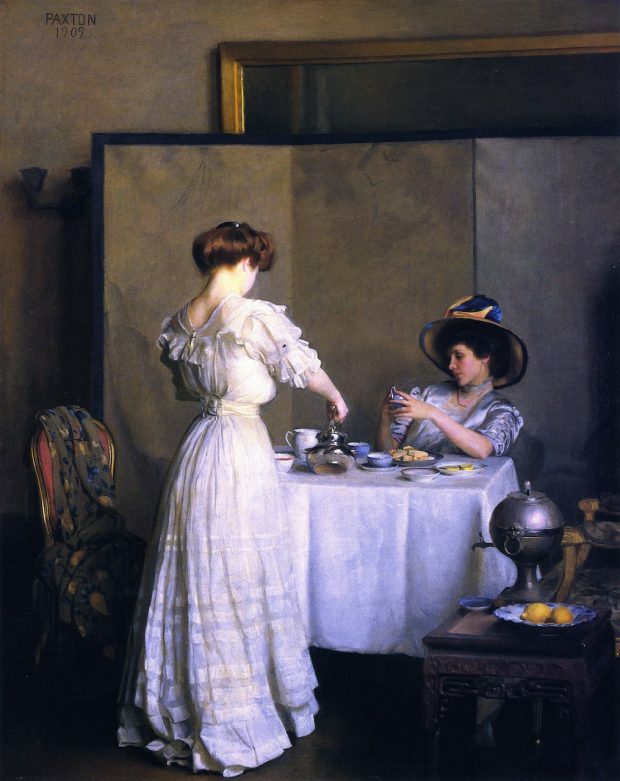 Tea Leaves by William MacGregor Paxton, 1909. 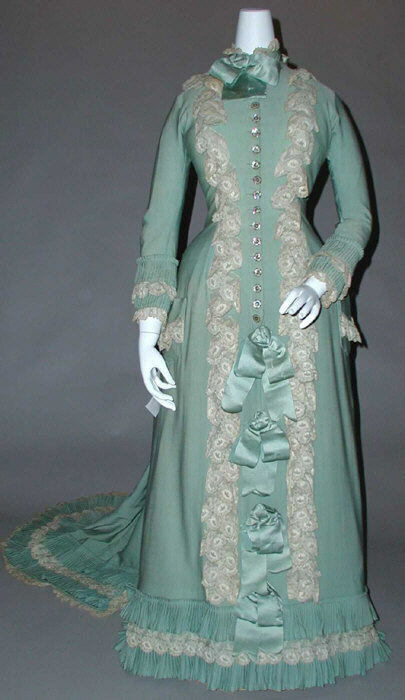 1892 House of Worth Afternoon Dress. 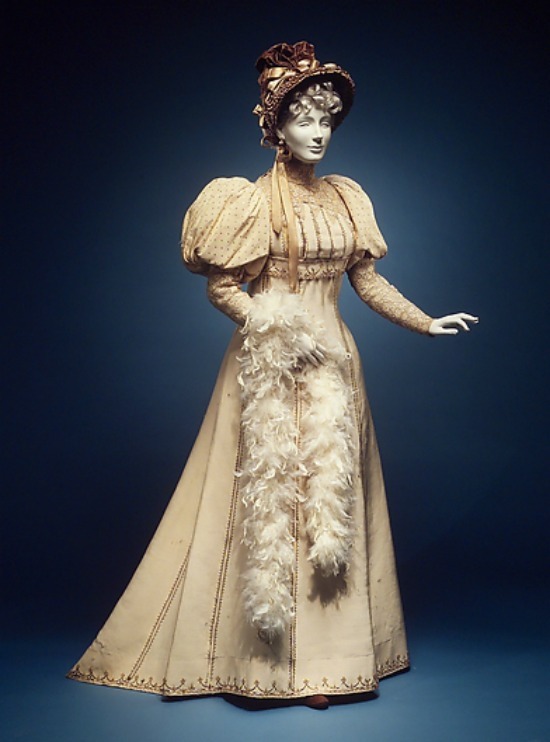 By the late 1870s, some ladies were beginning to don tea gowns. These gowns were loose fitting and fairly unstructured, leading to criticism that they were too much like dressing gowns to be considered proper. However, as the century progressed, tea gowns became much more acceptable, especially for those ladies entertaining female friends at home. 1890 French Silk Tea Gown. Ladies attending an informal tea were expected to remove their bonnets. This rule applied even to those ladies who were staying the minimum amount of time. As for gloves, a lady could remove them or keep them on, as she preferred. An informal afternoon tea was a great way for Victorian era ladies and gentlemen to gather together for tea, sweets, and conversation. 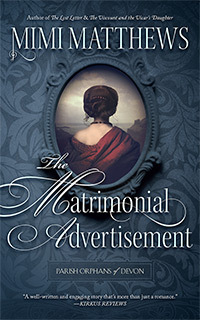 I hope the above has given you some idea of how a late nineteenth century hostess might have arranged such an affair. In future, I’ll be writing more on afternoon tea, specifically formal teas and receptions, which often featured music, entertainment, and as many as 100 guests or more. Stay tuned! 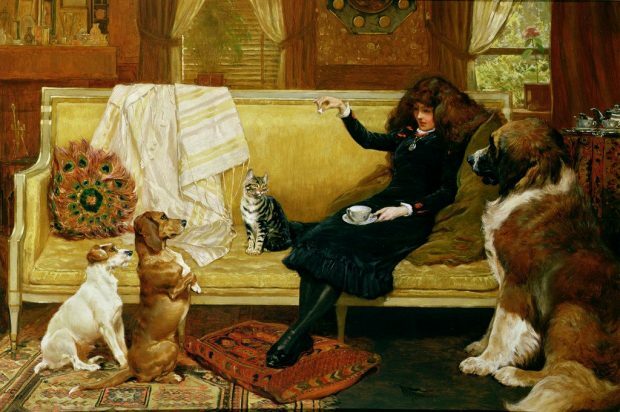 Teatime Treat by John Charlton, n.d. Chambers, Alfred B. The New Century Standard Letter-Writer. Chicago: Laird & Lee Publishers, 1900. Keim, De B. Randolph. The Hand-Book of Official and Social Etiquette and Public Ceremonials at Washington. Washington: De B. Randolph , 1889. Ladies’ Home Journal and Practical Housekeeper, Volumes 5-6. Philadelphia: Curtis Publishing, Co., 1887. Logan, Mrs. John A. The Home Manual: Everybody’s Guide in Social, Domestic, and Business Life. Boston: A. M. Thayer & Co., 1889. Table Talk, Vol. X. Philadelphia: Arthur H. Christ Co., 1895. Your posts are always interesting as well as beautifully presented, and I was particularly pleased to have the question of ‘gloves on or off?’ answered. Thank you! I have recently moved from the country to a small town and have given two afternoon tea parties- they are still a good way of entertaining friends without requiring huge amounts of time and effort! I’m glad you enjoyed it, Jane :) I agree with you about tea parties. They’re still a great way of entertaining! Great info, Sarah! I didn’t realize the sandwiches should be made with a slice each of white and brown bread. I’m still a little baffled by a five o’clock tea being referred to as an “afternoon” tea. The timings of meals must have been quite different then than in our 9 to 5 world! They ate dinner much later than we do. And their luncheon was lighter as well, so having tea to tide them over was essential! This post is like a chapter in a book! Terrific info, plus perfect illustrations. Thank you !One must know such customs, what is and is not acceptable, if one wants to write about an era ;otherwise opportunities for drama and plot twists are missed. Besides that, it’s fascinating! The rest of it sounds lovely, though. I especially liked the descriptions of the food that would be served. They sounded like the perfect things to have for a light afternoon snack no matter what the weather was like outside. Researching & writing about it made me so hungry for afternoon tea, tiny sandwiches, and cakes. Alas, there was only lean cuisine.